The first book in the Violin ABC series using the Colourstrings method. 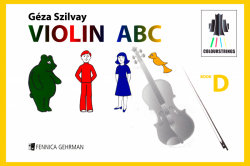 The second book in the Violin ABC series using the Colourstrings method. The third book in the Violin ABC series using the Colourstrings method. The fourth book in the Violin ABC series using the Colourstrings method. The fifth book in the Violin ABC series using the Colourstrings method. 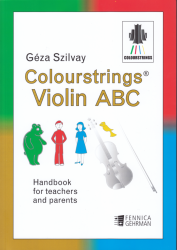 The sixth book in the Violin ABC series using the Colourstrings method. Supplementary material for the Colourstrings Violin ABC Book B. 42 Finger Exercises for perfect intonation in the first position. For violin and piano. Violin part.